Tricia Romano is the former editor in chief of the Stranger. She previously worked as a staff writer at the Seattle Times, and has been published in the New York Times, The Daily Beast, Dame, Rolling Stone, the New York Post, New York magazine, Slate, Grantland, Spin, and Salon. 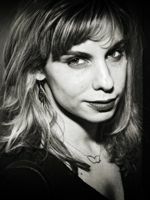 She covered underground culture in New York City for the Village Voice for eight years in her column “Fly Life.” Her March 2006 cover story about sober DJs and promoters in the nightlife industry, “The Sober Bunch,” garnered her a Newswomen’s Club of New York Front Page Award for Best Feature.